Each month shares a quality of what makes Search Dogs special, how they save lives and bring closure around the world. They are honored for their services and the many lives and hearts they have touched. A perfect gift for the dog lover and SAR supporter. There are over 40 search dog teams and more than 90 photos of various search dogs, showcasing the different disciplines and levels of training. 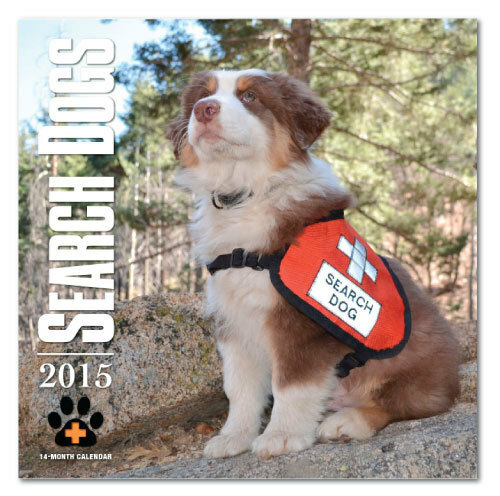 On the back cover is a tribute to SAR puppies, entitled "Search Dogs at Ground Zero".